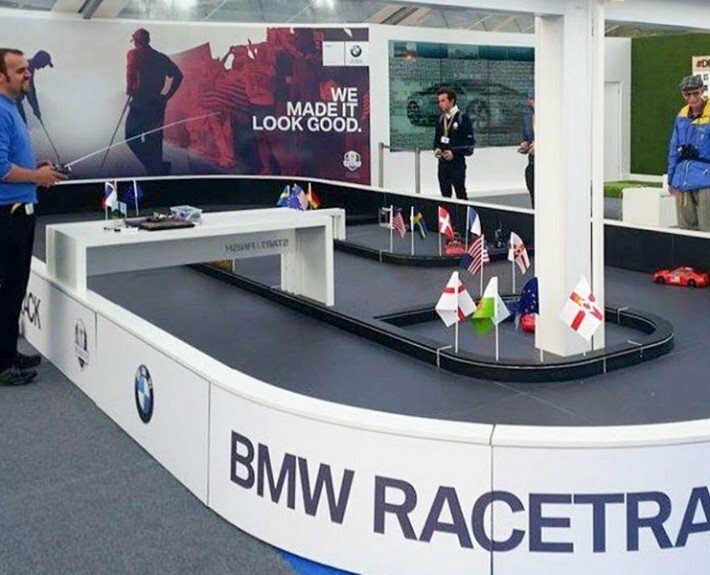 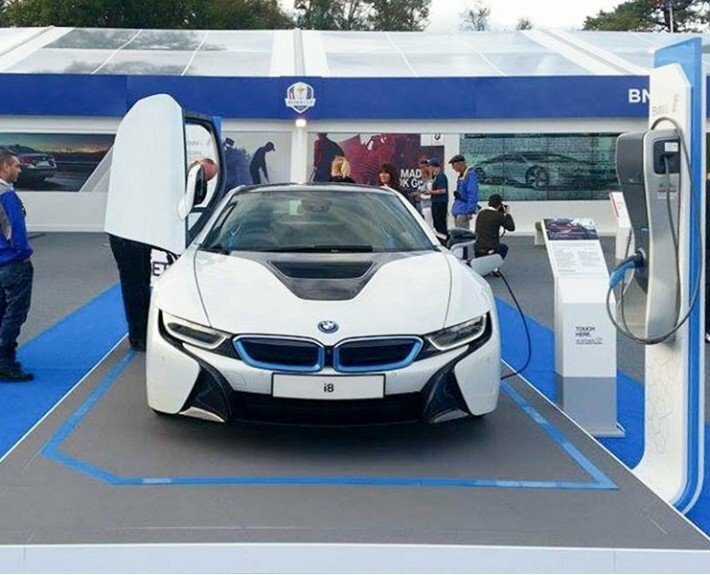 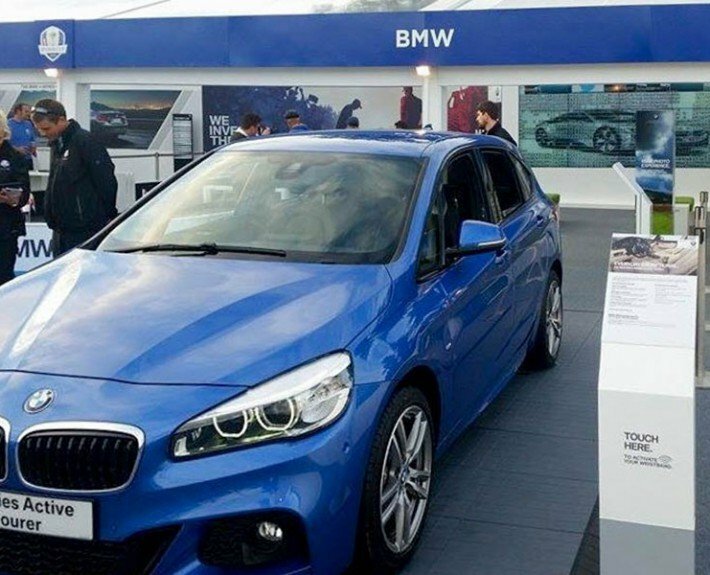 As an official partner of the European Ryder Cup, BMW made an impression with a presence focused heavily on social engagement and interaction. 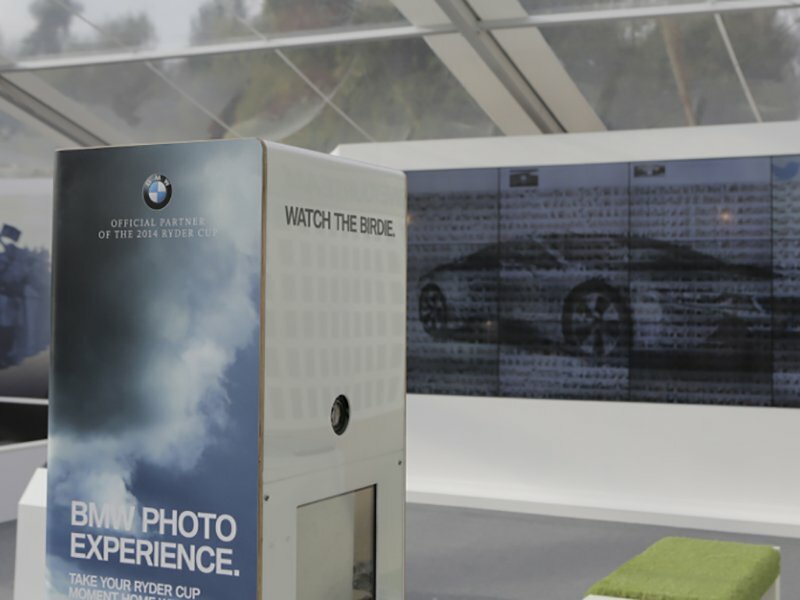 Visitors were invited to have their picture taken with the colour of their chosen team, which they could then tweet with the #DriveYourTeam. 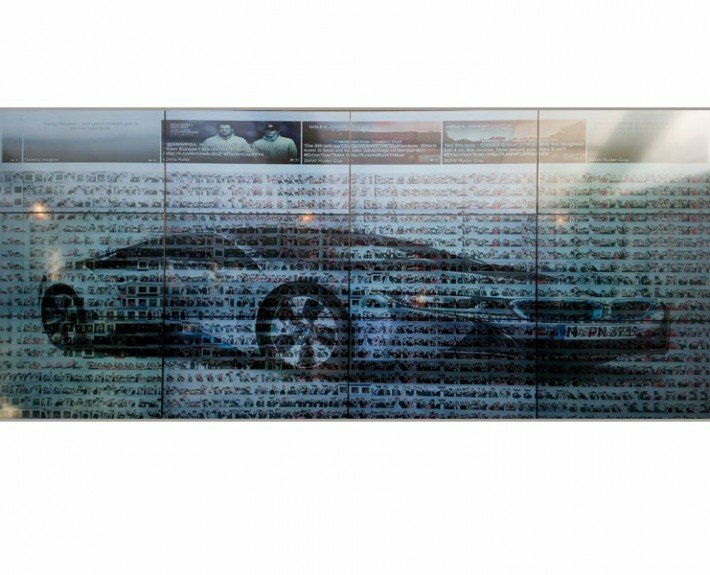 The photos were also updated in real-time on a 4×3 video wall next to the photo booth, where they formed a huge mosaic. 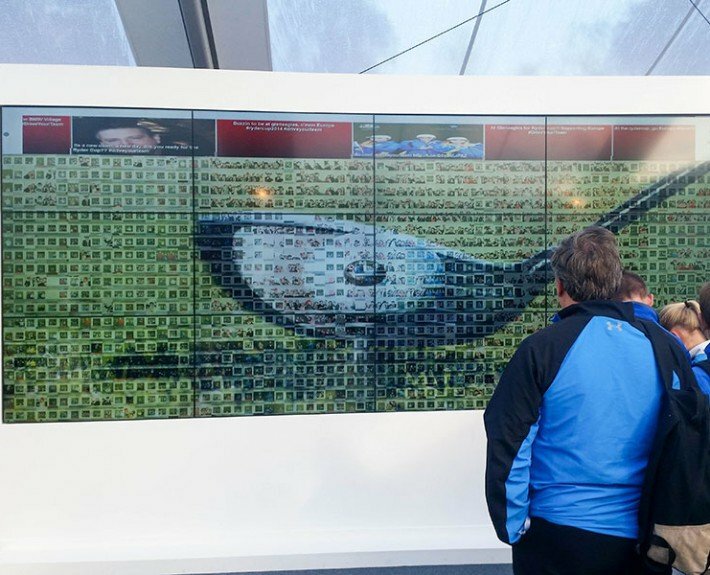 The bespoke functionality allowed photos from the booth to be displayed onto the video wall and generate the mosaic, with a Twitter feed running along the top of the wall.